Laundry equipment accounted for most of the top ten house fires in England alone. Image by Nexus 7 (via Shutterstock). 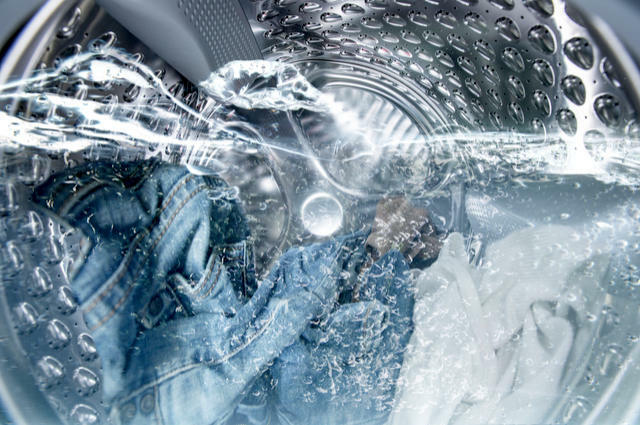 In a recent report by Electrical Safety First, laundry related domestic appliances featured highly in the ten most fire prone electrical items. The report covered 1,873 house fires in England, with 19% of fires (482 incidents) caused by washing machines. Tumble dryers came pretty close accounting for 18% of house fires (460 incidents recorded). The release of Electrical Safety First’s report on 2016 findings emerged only weeks after the Grenfell Tower fire. In the light of June’s tragic events, they have also suggested that domestic appliances should be tested for safety purposes. Such measures, they suggest, should be compulsory and free of charge to households. The Consumer Minister, Margot Jones, has been contacted by ESF, who also suggest the creation of a register of domestic appliances. This would enable housing associations and local authorities to test our cookers, washers, and fridge freezers when necessary. 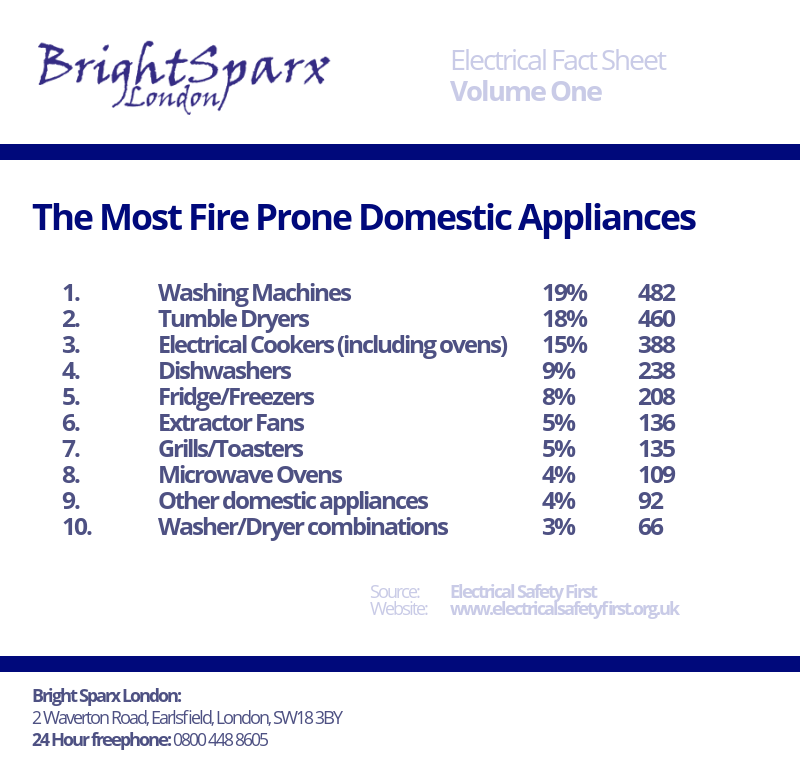 Seen below are the ten most fire prone domestic appliances, according to fire statistics by Electrical Safety First. This we hope is the first of many fact sheets and infographics you’ll be seeing on our blog. Bright Sparx London, 28 July 2017.